Glamorgan Wanderers RFC are happy to announce that they have secured the services of Will Cusack who has agreed to rejoin the club after returning from Hartbury College where he led their S & C super rugby programme. 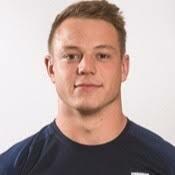 Will learnt his trade at Cardiff Metropolitan University, one of the leading lights in S & C courses. He progressed to a role as an intern at Cardiff Blues and whilst with the blues he joined the Wanderers and was an instant hit with our young squad. Will then left for Hartbury but has now returned and has a role with the Region’s Under 23 squad. This season the Wanderers coaches identified a need to install a fitter squad as there were tough encounters last season in which we fell away at crucial times. With a new attack strategy proposed by Dan Fish there will definitely be a need and desire to be much fitter as a squad. This strategy was unveiled at the beginning of the summer training last week and the squad really bought into the way forward. No Replies to "Wanderers bolster back room staff"